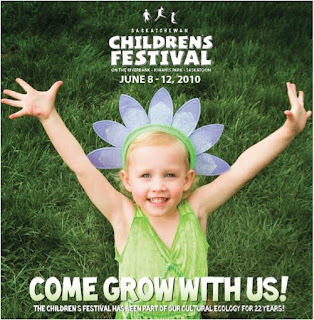 The Saskatchewan Children’s Festival promises fun for the whole family June 8 - 12 in Kiwanis Park, just south of the Bessborough Hotel. Rain or shine, this year’s festival welcomes kid-focused talent from around the globe, across the country and close to home under the theme "Come Grow With Us." "Literacy, environmental stewardship, self-esteem and cultural diversity will be highlighted throughout performances and on-site activities," according to the festival's communications coordinator Ashley Huck. "With over 50 shows and an expected 20,000 visitors from across the province, the Saskatchewan Children's Festival is a true celebration of the arts, children, and quality family time." Stage shows will include a variety of puppets, music, dance, comedy and storytelling. The Kinder Garden, geared toward children under 5 years old, features favourite Saskatchewan performers Beeper the Clown, Joseph Ashong, Singing with Sylvia and Wide Open puppet theatre. For performance schedules and links to the artists, visit saskatchewanchildrensfestival.ca. You don’t have to attend a show to visit the festival. On site, children can participate in morning Yoga for Youth, contribute to the Peace Tree project, try a free workshop in the Hands-on Art Tent, dig in the Fossil Find, help build a Lego scene and more. Speaking of Saturday's Family Flapjack, the Children's Festival is offering one lucky saskmom.com follower a family package of four tickets to the June 12 Family Flapjack pancake breakfast at 9:30 a.m. in Kiwanis Park, followed by the Cake & I Scream comedy show at 10:30 a.m. in the Tim Hortons Tent. To enter the draw, check out the festival web site and share below a festival event or activity you and your family would be interested in checking out. Be sure to include your first name in your entry. Entries will close at noon on Friday, June 4. At that time a winner will be selected through Random.org. Click the link below to enter.